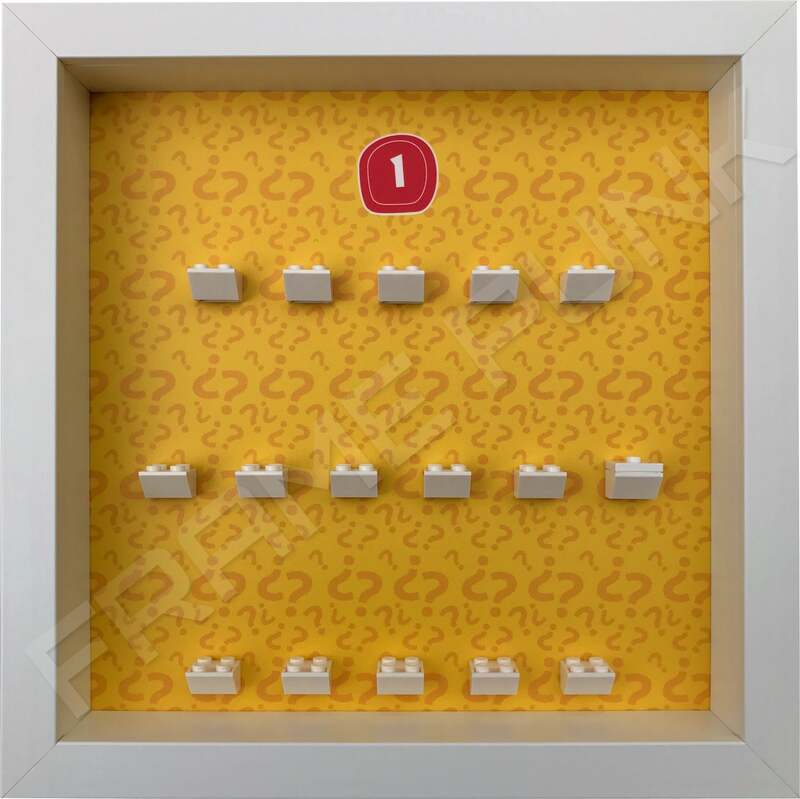 18 White and 1 Orange official LEGO mounting bricks. 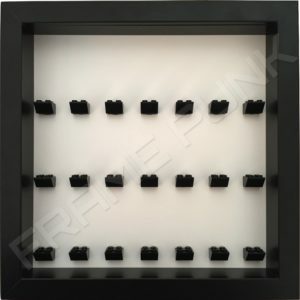 Removable Acrylic front panel to keep your minifigures dust free. 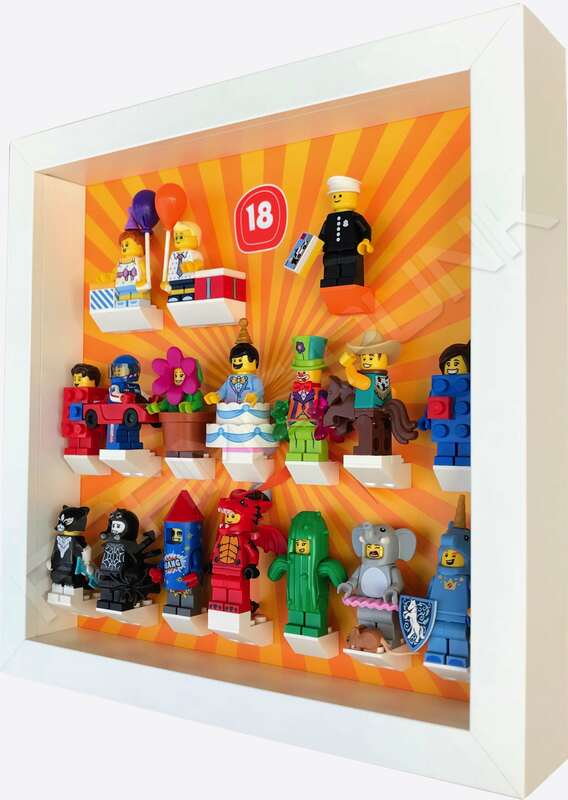 This Frame Punk LEGO Series 18 minifigures display frame is designed to hold the complete set and identify with the colour scheme of the blind bags that the minifigures come in. 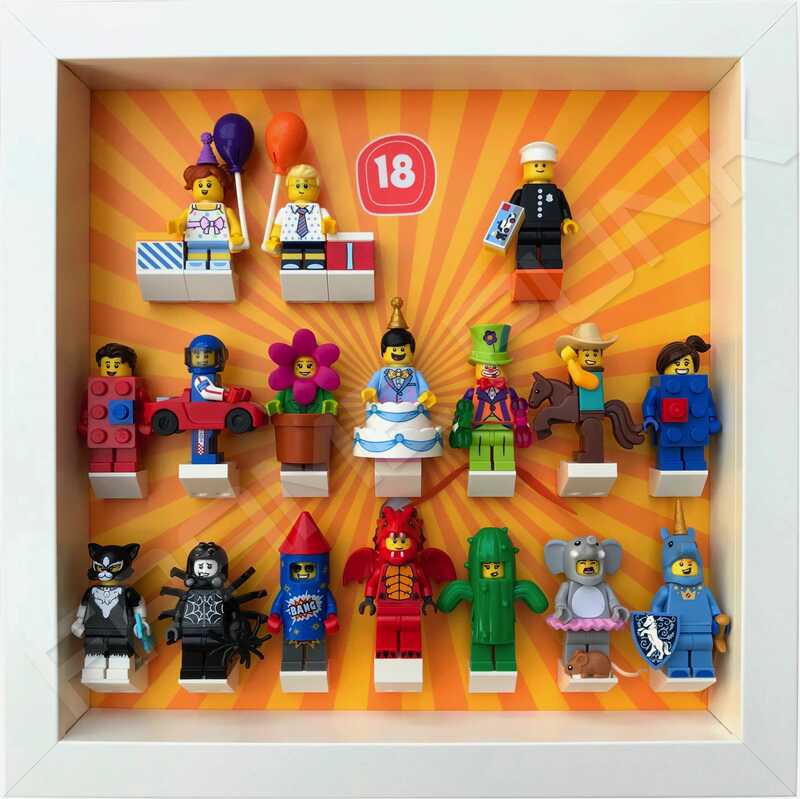 As with all of our series frames, we try and accommodate each minifigure and its accessories. With this frame you get the frame and the complete Series 18 set, even the hard to find Classic Policeman minifigure. We include a helpful tips guide with this frame to help insure everything fits in the frame as it should.